Today we will take a look at an interesting case brought under the Virginia Fraud Against Taxpayers Act and whether there is federal jurisdiction for state false claims act cases. The case — Commonwealth of Virginia ex rel. Hunter Labratories et al. v. LabCorp of America, et al. — was issued by the U.S. Court of Appeals for the Fourth Circuit this summer and it is the first case I know of examining these issues. In December of 2007 Hunter Labs filed a qui tam action under seal in the Circuit Court for Fairfax County, Virginia. The action was brought under the Virginia Fraud Against Taxpayers Act and alleged that most of the major laboratory companies in the United States submitted false claims to the Commonwealth of Virginia’s Medicaid program. Specifically, relator alleged that defendants charged Virginia’s Medicaid program more than their usual and customary charges in violation of Virginia Code § 8.01–216.1 et seq., and offered and gave discounts on laboratory tests for non-Medicaid services in order to induce purchasers to refer Virginia Medicaid laboratory business to them in violation of various federal anti-kickback statutes dealing with health care. And there we have the first interesting bit about this case. For some reason, relator chose to file the case in a Virginia state court (therefore bringing claims only the VFATA and foregoing the federal False Claims Act) rather than in federal court. Had relator chosen to file in federal court, it would have been able to bring claims under the federal FCA as well as a pendent state law claim for each state with a state false claims act. It is also worth noting that this was not the first state false claims act case filed by this particular relator. In 2005, Hunter filed a qui tam lawsuit — also against the same defendants — in a California state court under the California False Claims Act. The allegations in both cases were quite similar. California exercised its right to intervene in 2009, and in 2011, Quest settled the lawsuit for $241 million and LabCorp settled for $49.5 million. 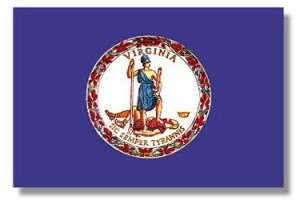 Ultimately, for whatever reason, the Commonwealth determined not to intervene in the Virginia case. Following that decision relator chose to move forward and served the Complaint on the defendants, as was its right under the VFATA. Defendants then removed the case to the U.S. District Court for the Eastern District of Virginia, alleging that the VFATA claims arose under federal law and, therefore, were removable to federal court pursuant to 28 U.S.C. § 1331. Because some of my regular readers are not lawyers, a few words about federal jurisdiction are in order. As most of us learned in high school civics, federal courts are courts of limited jurisdiction; Article III, Section 1 of the U.S. Constitution specifically creates the United States Supreme Court (and gives Congress the power to create such lower courts as it deems fit) and Article III, Section 2 provides the specific types of claims over which federal courts have jurisdiction. The most common reasons for federal jurisdiction include federal question jurisdiction and diversity jurisdiction. The main point here is that federal courts are courts of limited jurisdiction and a litigant can bring their case in federal court if — and only if — it falls under one of the relatively few categories outlined in the U.S. Constitution and the laws Congress has passed concerning that authority. Along those same lines, if the plaintiff could have filed his or her Complaint in federal court to begin with, defendants are able to remove it to federal court when they are served. But, again, cases can only be litigated in federal court if the case falls under one of relatively few limited categories. After removal, things proceeded pretty much along the usual course. Some preliminary skirmishing took place, and then the parties began to talk settlement. In a non-intervened action like this one, relators stand to receive a minimum of 25% and a maximum of 30% the government’s recovery. The parties reached a settlement agreement; as part of that agreement, Quest agreed to pay $1,250,000 to the Commonwealth. The relator’s share was then agreed — by the Commonwealth and relator — to be a presumptively-reasonable 28%. So far, so good. I imagine the relator was quite surprised, however, to learn that the amount was determined to be $138,925 instead of the more attractive number of $350,000. That is because Medicaid is a joint program funded by the federal government and each participating state — the Commonwealth splits the bill 50/50 with the feds. The Commonwealth has to return part of any money it recovers to the federal government, so she took the position that she could only pay relator from her part of the proceeds. Relators, however, didn’t see it that way, so it was necessary to have a contested proceeding on the appropriate amount to be paid to relator. After litigation over the relator’s share, Judge Trenga entered an order granting the Commonwealth’s motion and paying relator $138,925. Relator wasn’t satisfied with that either, so they appealed to the Fourth Circuit, arguing there that they had been wronged in the District Court. The appeal resulted in an outcome which I am quite certain the relator had not contemplated — in fact it seems that neither the relator, or the Commonwealth, or the defendants had anticipated the ruling. The Court of Appeals ruled that federal jurisdiction was missing in the first place and that the case should never have been removed. The Virginia Fraud Against Taxpayers Act is a state statute; the removal had been premised on the theory that the claims, which alleged an overcharge of Medicaid reimbursements, independently required proof of a violation of the federal anti-kickback law. The Court, applying the well-pleaded complaint rule, found no federal cause of action…so the Court of Appeals vacated and remanded to state court. Stay tuned to see what happens next in this case….